Another year, another drop on the draft board for the Red Wings. 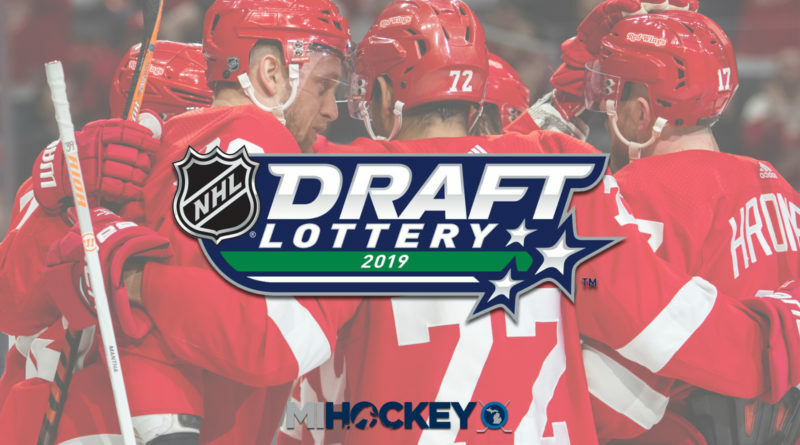 For the third straight season, luck was not on Detroit’s side at the NHL Draft Lottery, as the Wings fell from No. 4 to No. 6. The Chicago Blackhawks moved up from No. 12 to No. 3; the New York Rangers moved from No. 6 to No. 2 and the New Jersey Devils moved up from No. 3 to No. 1. Last year, the Wings dropped from No. 5 to No. 6, ending up with Filip Zadina in Dallas. Two years ago, the Wings dropped from No. 7 to No. 9, selecting Michael Rasmussen in Chicago. After a seemingly-set top three of Jack Hughes, Kaapo Kakko and Vasili Podkolzin, there’s plenty of debate on who will be selected at No. 4 and on-ward. Notable names floating around in mock drafts include USA Hockey’s National Team Development Program standouts Trevor Zegras, Alex Turcotte and Matthew Boldy, as well as Vancouver Giants defenseman Bowen Byram, Lethbridge Hurricanes center Dylan Cozens.